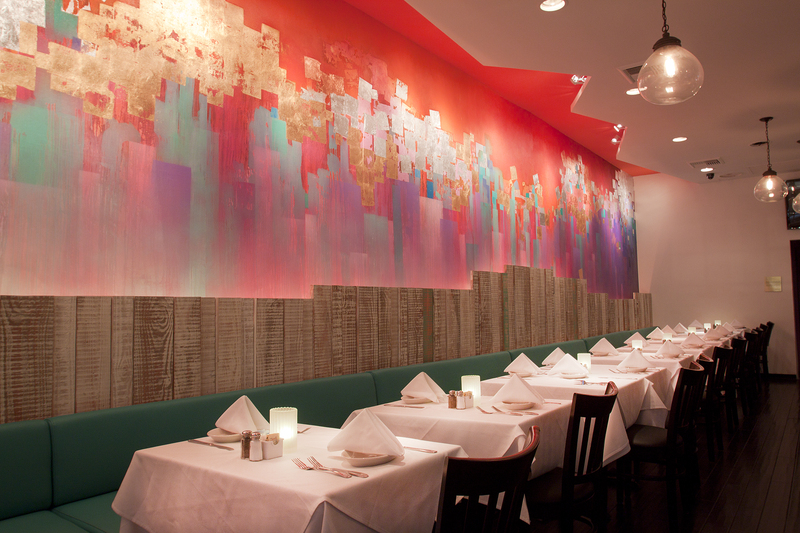 Westwood now has a colorful tasty new Mexican eatery. 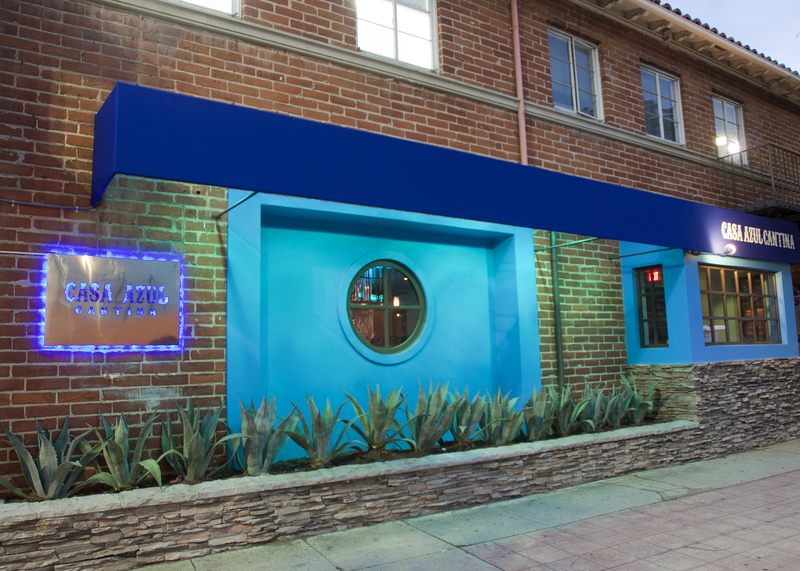 Located inside a charming brick courtyard, the teal infused Casa Azul Cantina is the latest restaurant from Vicente Del Rio of the Frida Restaurant Group. The menu offers a wide variety of traditional Mexican dishes, including sopas, ceviches, moles, fajitas, enchiladas, and tacos. 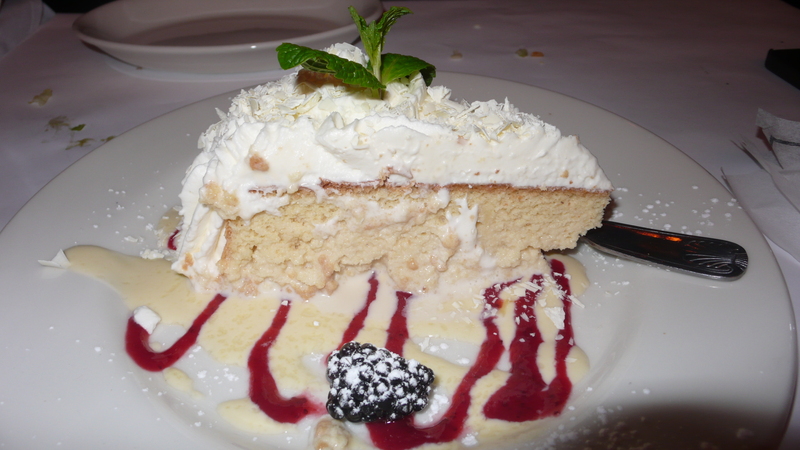 I recently visited for a tasting menu with my friend Dalbert, here is what we sampled. 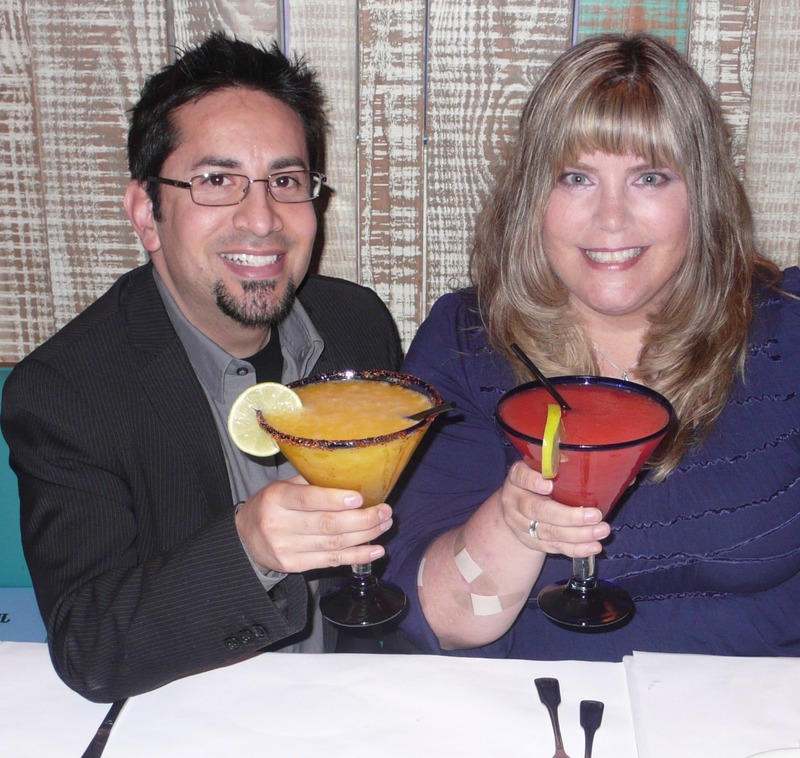 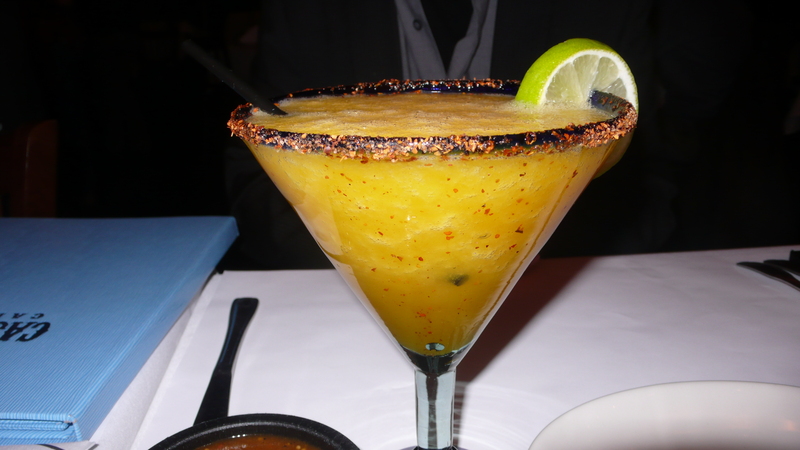 We started with frozen margaritas, I had strawberry, Dalbert had mango. 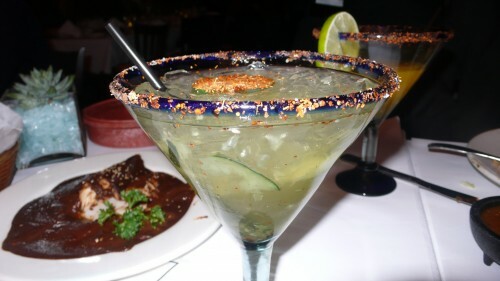 Casa Azul Cantina’s drink menu is extensive and offers over 70 tequilas. Later, our waiter brought over a Matador special, a very very strong combination of muddled cucumber, agave, tequila, triple sec and fresh lime juice. 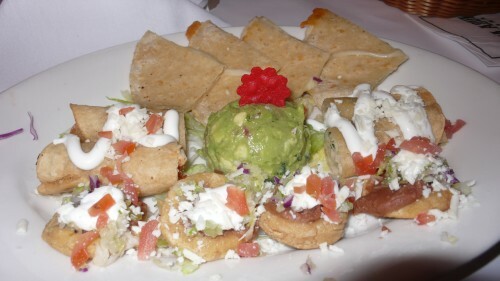 Our appetizers included the Casa Azul Platter, a huge dish of crispy chicken and potato taquitos, cheese quesadillas, mini sopas and guacamole. 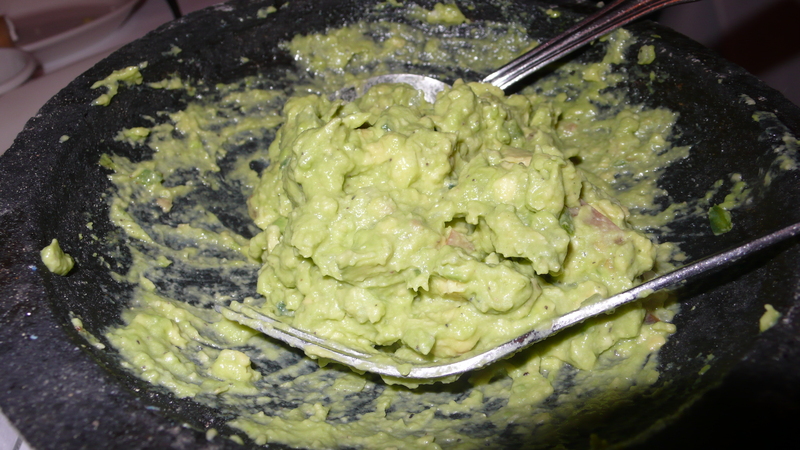 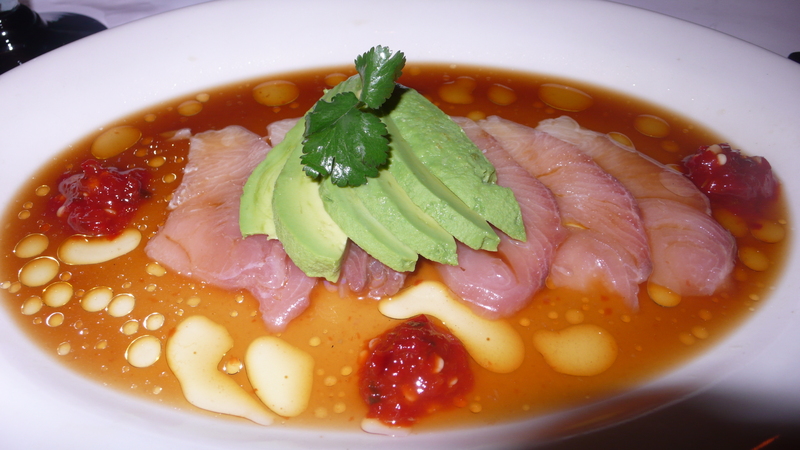 We also enjoyed hamachi tiradito, raw yellowtail with avocado, rocoto chile, olive oil, lime juice and ponzu sauce as well as a big bowl of guacamole en molcajete, fresh guacamole with onions, jalapeno chile, and lime. 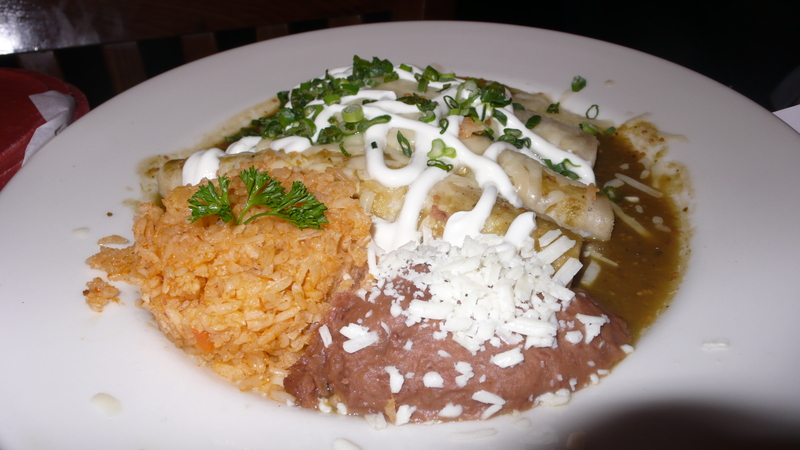 Our main courses were delivered shortly after, we tried the house specialty – the mole poblano, chicken in chile chocolate sauce served with rice and refried beans. 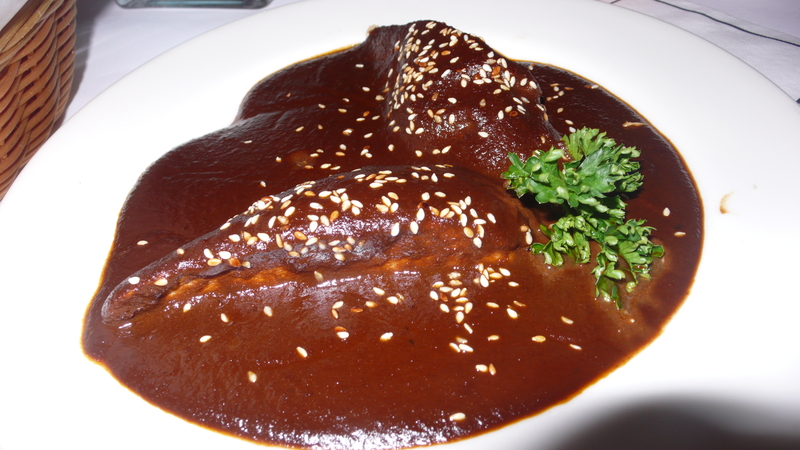 We both love mole and this dish was delicious. We also sampled chicken enchiladas with queso fresco and sour cream and rib eye tacos. 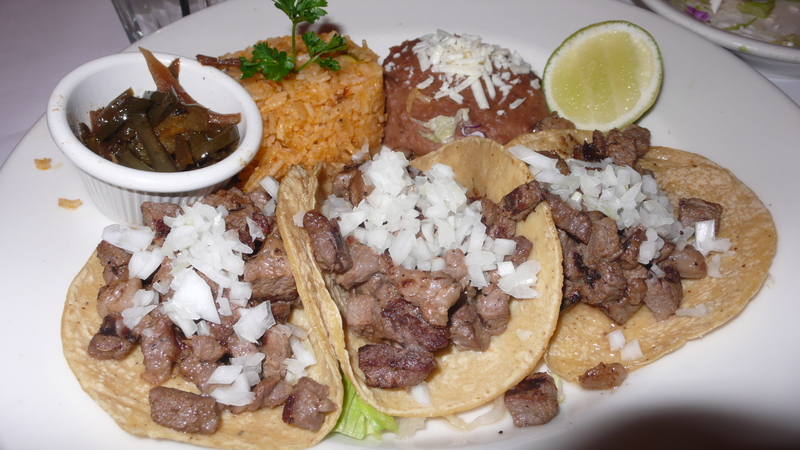 The tacos were my favorite of the night with tender grilled marinated ribeye, onions and cilantro and served with chiles toreados. For dessert we enjoyed pastel de tres leches and fresas con crema. 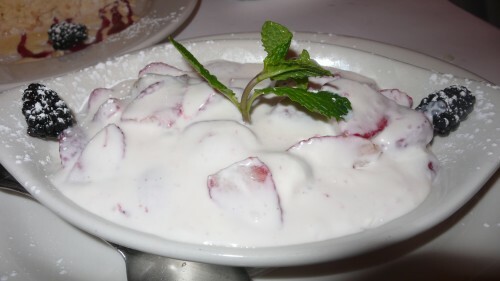 The menu offers a wide variety of dishes for very reasonable prices. Everything we sampled was delicious. 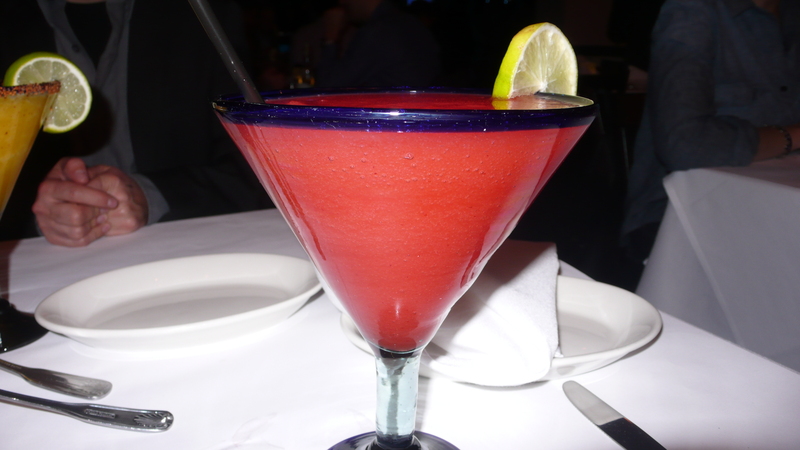 Casa Azul Cantina is located at 10853 Lindbrook Drive in Westwood Village, open for lunch and dinner.